Otto Hahn, popularly regarded as father of nuclear chemistry, was a Nobel laureate and a German chemist. He was a pioneer in the fields of radio-chemistry and radioactivity. 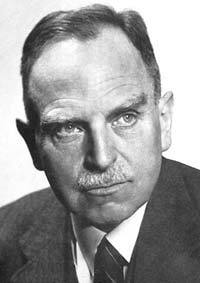 Otto Hahn was born in Frankfurt on March 8th, 1879. From a young age he took a great interest in the field of chemistry and he was greatly supported by his parents. Hahn studied chemistry at University of Marburg where he got his doctorate in the year 1901. After being in the military for awhile, he started working as an assistant at the University of Marburg. He later travelled to London, England. Hahn joined the University College in London and worked under Sir William Ramsay. Here, he tried to improve his overall knowledge of English and chemistry in order to help in his career. In early 1906 Hahn visited Montreal and spent a short time with his friend Ernest Rutherford. While in Montreal he discovered what would later be called polonium and thorium. He also studied the alpha rays of radiothorium. He later returned to Germany in 1906. Back in Germany, he worked together Emil Fischer at University of Berlin. With the help of a simple chemistry laboratory, he discovered mesothorium. This great discovery later had great practical use in radiation treatment. In 1910, Otto Hahn was appointed a professor at Kaiser Wilhelm Institute for chemistry. Here he became the head of the radio-chemistry department. During WWI Hahn joined the German army where he worked on substances for chemical warfare. He participated in developments for the use of poisonous gases like mustard gas and chlorine on both the Eastern and Western fronts. After the war he worked on the chemistry of radioactive elements. With the help of Lise Meitner, they both made an important discovery of Uranium Z (the very first example of the nuclear isomers) in the years 1921. In the year 1936, he wrote the book Applied Radio-chemistry. This book later became a significant milestone in radio-chemistry. He made more progress in his studies of Uranium, and in the 1930’s, his group was the first to measure the half-life if Uranium. By the year 1939, Hahn and his group had already discovered basic mathematics of nuclear fission and they found that uranium nuclei can split if bombarded with atoms. In 1944, Hahn was awarded Nobel Prize for the Chemistry. In 1966 he received the Enrico Fermi Prize; this was the only time the award was awarded to non-American. In 1945, Hahn was very shocked when he heard that the atomic had been dropped in Japan. He felt guilty and he campaigned against the use of nuclear weapons. This campaign led to Hahn being nominated for a Nobel Peace Prize. Between 1948 and 1960 he was the founding president of the Max Plank society for advancement of science. His work is still widely acknowledged to date. Otto died in Germany on July 28th, 1968.